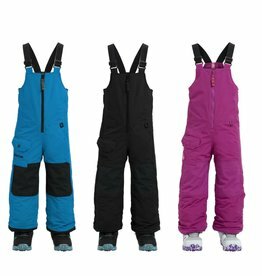 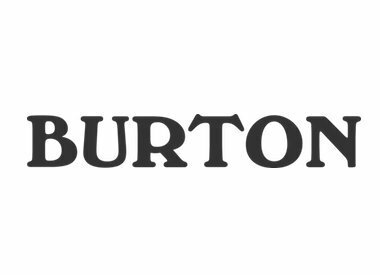 If you buy 2 products from "Ski/Board Jackets" or "Ski/Board Pants" you will receive a 25% discount on the lowest priced product. 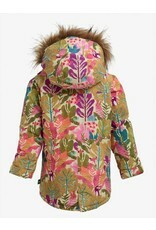 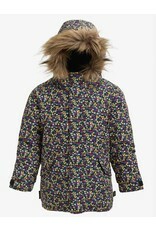 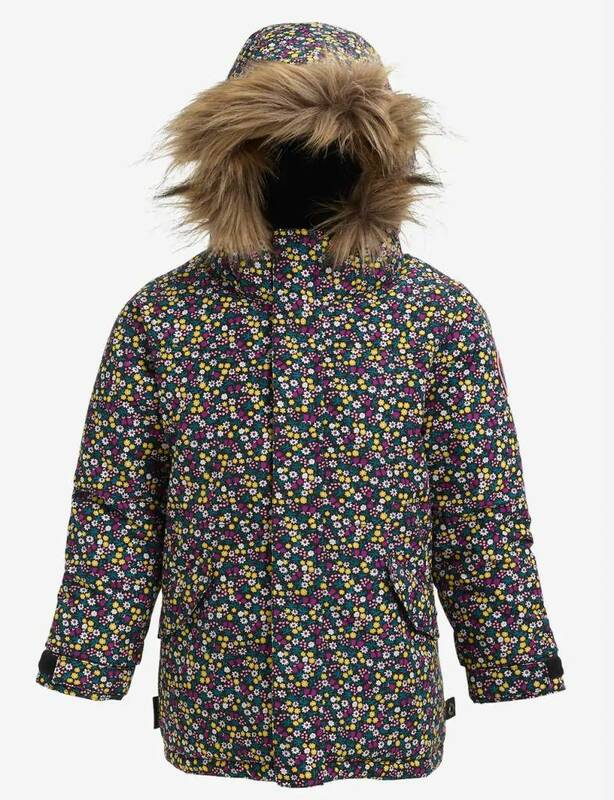 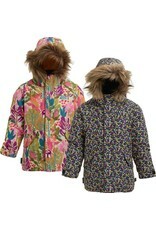 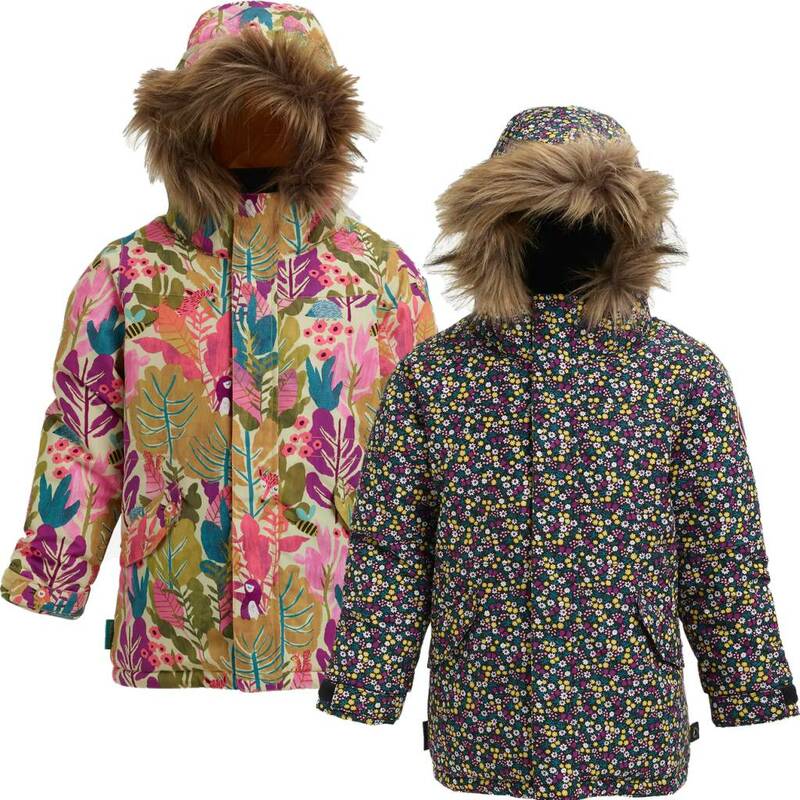 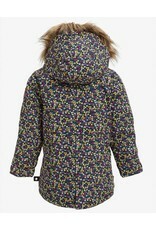 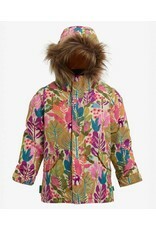 Full-expression, trench-styled fashion fun snow jacket for girls aged 2 to 6, complete with removable faux fur trimmed hood. 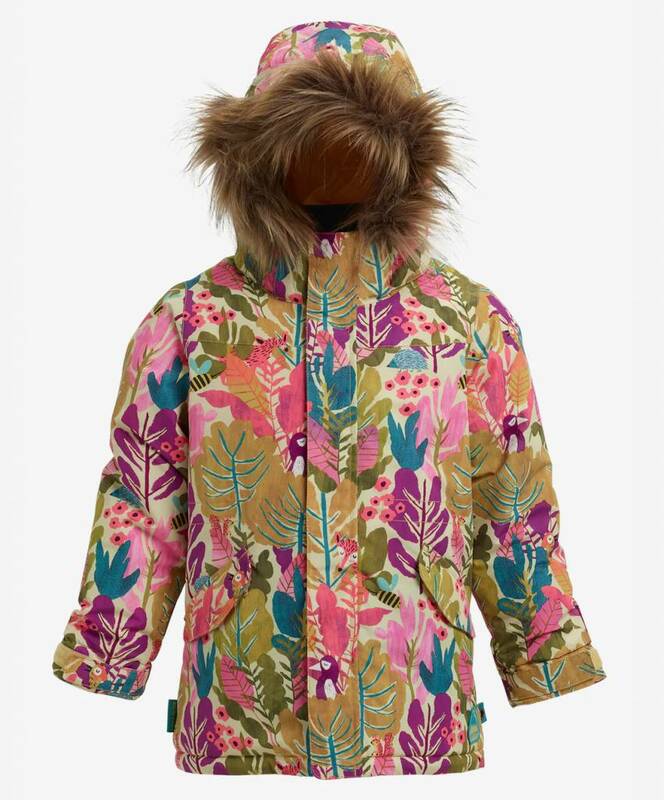 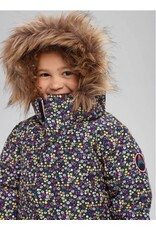 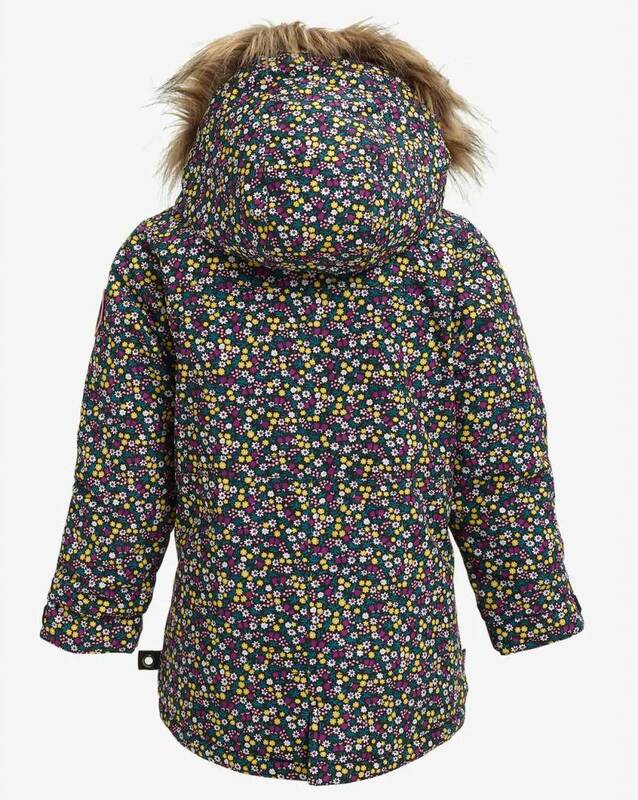 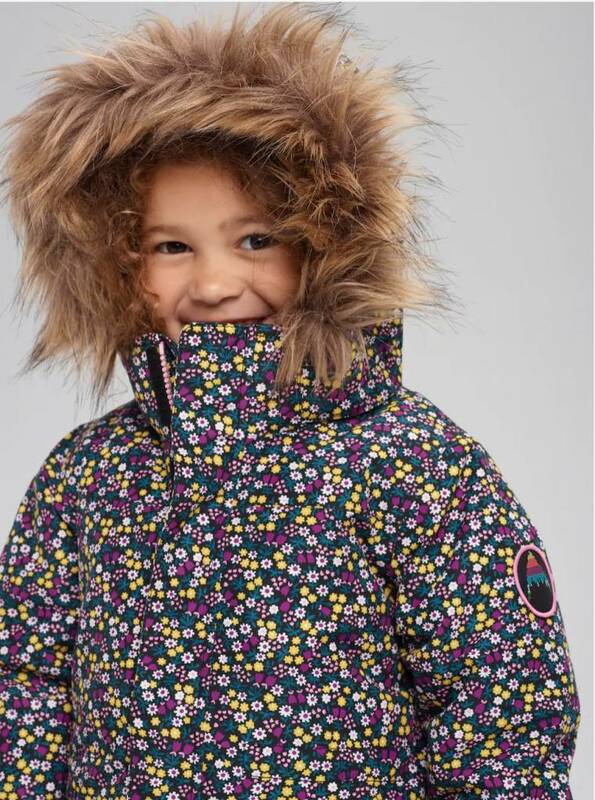 Add style to winter-busting warmth with the girl’s toddler Burton Aubrey Jacket. 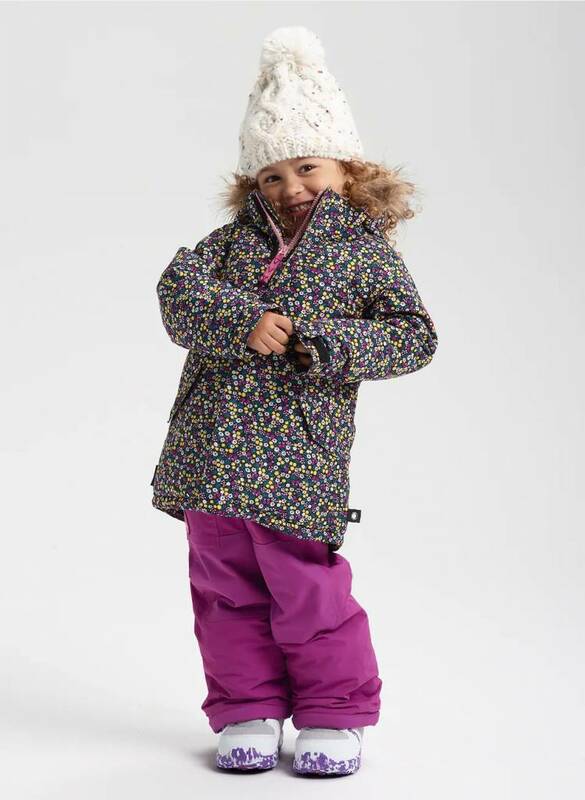 The longer drop tail silhouette is built with waterproof/breathable DRYRIDE 2L fabric to seal out bad weather, while the mapped Thermacore™ insulation keeps the littlest riders toasty without crimping movement. 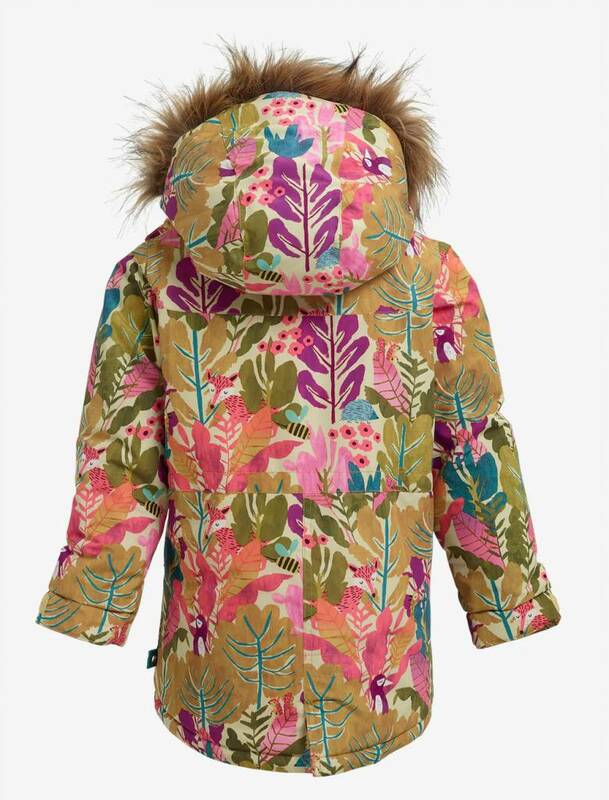 Room-To-Grow™ sleeves extend for a fit that keeps up, while the faux fur trimmed hood snaps off for snug comfort when snoozing in the car seat.